Delicate floral flavours set my taste buds alight, I once ate a rose creme masquerading as a strawberry truffle and since then I've been hooked (I was less keen on the liqueur that looked like a praline - but that's another story!). Violet, rose, geranium, lavender, jasmine, orange blossom - I'm always excited to sample something with a hint of floral magic and luckily these work so well in summery tipples. I tried Fentimans Rose Lemonade the summer before last and while it was lovely (I always keep an eye out for it in the supermarket) it wasn't quite rosy enough for me, I'm also a huge fan of still lemonade as well as sparkling so I set about coming up with a suitably blousy brew to quaff while watching the Royal Wedding. My first jug was definitely on the fragrant side, even for me! Since then I've been through dozens of batches each slightly different and have finally found the one that tantalises my tongue to perfection, the closest I'll ever get to alchemy. I've shared my recipe card above so that if you fancy it you can try your hand at homemade rose lemonade yourself, a word of warning though; gently does it with the rosewater - you can always add more if you're a rose-loving freak like me but you can't take it out, drinking what feels like rosewater cologne from your Gran's dressing table is never a tasty experience! Go for unwaxed lemons if you can and give them a good wash before peeling them, I do love using a zester when I'm baking a lemon drizzle cake - but for this I found a vegetable peeler was speedier and easier. Last but not least my recipe appears in the current issue of the wonderful Pretty Nostalgic magazine, the photos above are outtakes really - it looks much nicer set out with their artistic page layout wizadry. Besides which the magazine itself is a firm favourite with me, definitely worth a peek if you're a fellow vintage fan as it is packed with inspiring pieces and has a brilliant ethos: spend wisely, waste less, appreciate more. I totally agree! Yum!! These pictures are so pretty. I love Fentimans drinks. I've not tried the rose lemonade though. yummy. Anything rose flavoured and I'm sold. I'm going to have to hunt that magazine down now. Damn you and your inspirational ways! i never come away from your blog without feeling inspired jem thank you! what a gorgeous thing to make and i love your photos as usual they are stunning. will definitely look for pretty nostalgic the next time i hit the newsagents! This sounds and looks delish! 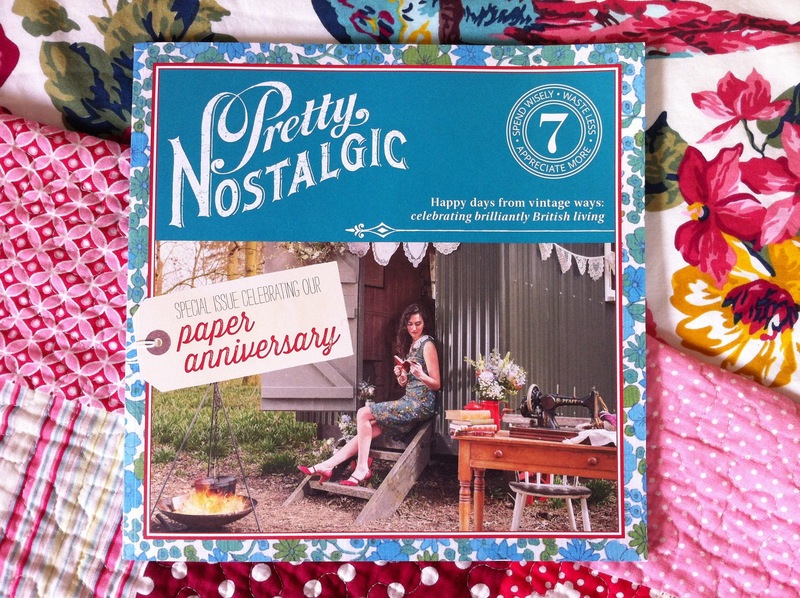 And Congratulations on being published in such a lovely mag as Pretty Nostalgic! Ooh sounds interesting - am always on the look out for new drinks to retire to my patio with! You always take such delicate and pretty pictures, I wish I could master that skill! 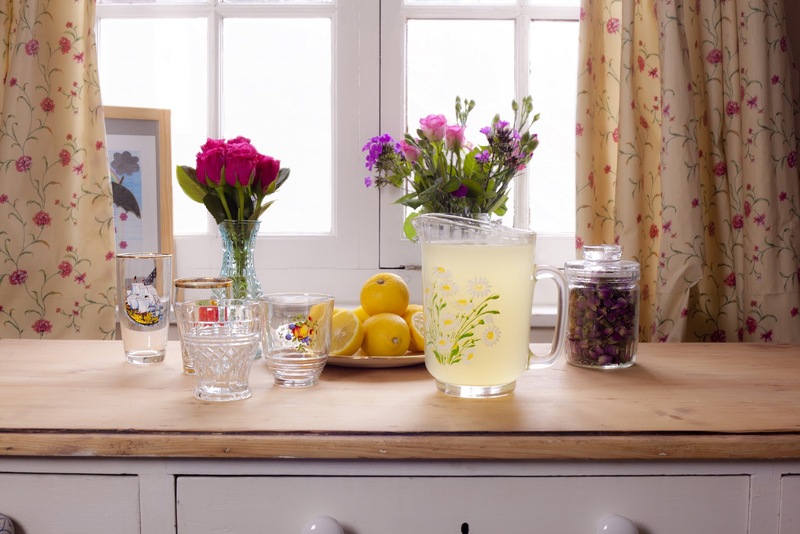 oh yum that looks so refreshing and the jug and glasses are so cute to! 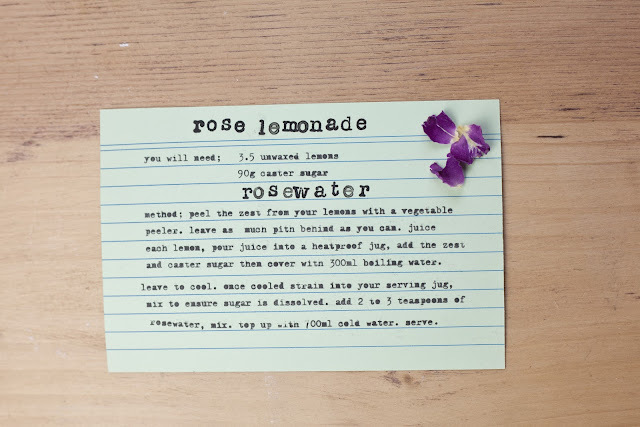 I've just found your blog and completely identify with the desire for all things rose flavoured, as well as violet as well. 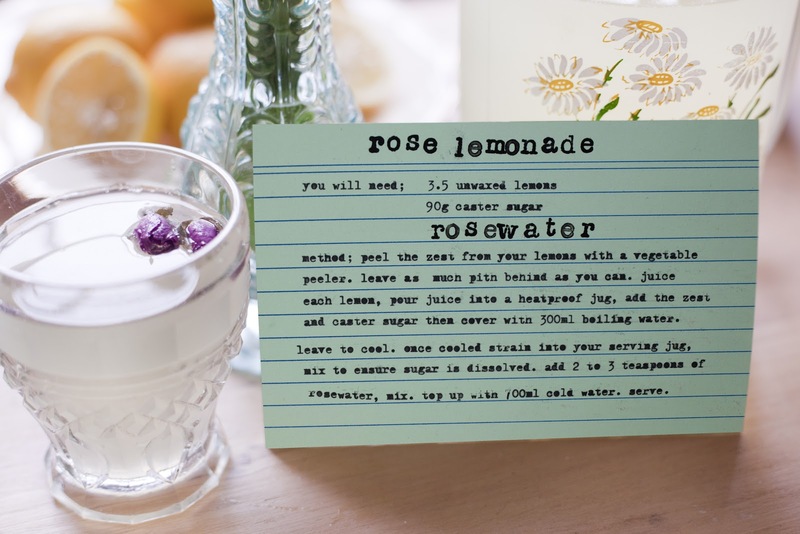 I agree that fentimans is just not that rosey and will definitely try your recipe as well as follow your blog.